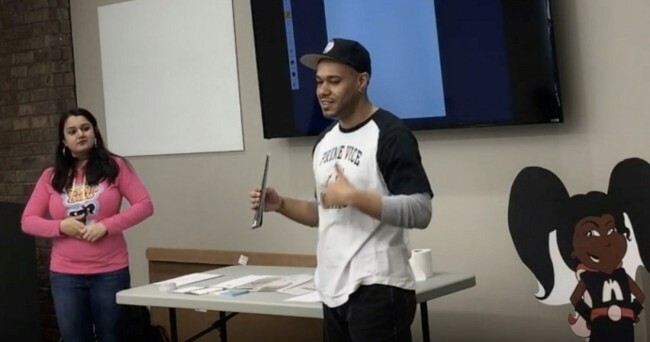 The Prime Vice “Fresh Voices Comic Creator Workshop” is taught in the Metro-Atlanta area by Prime Vice Studios, a sequential art company founded by Carlos Perez. He and Ananya Vahal teach comic book creation workshops at organizations, art centers, schools, etc. to develop talent and diverse voices through the sequential art medium. Perez, who has an MFA in Sequential Art shares his expertise by teaching the drawing portion of the workshop, which includes character design, page layouts, concept art, etc. Ananya Vahal, who has an MFA in Writing, teaches the writing portion, which includes character and story development. “Thank you, Pollination Project, for recognizing our work in the community and investing in us,” said Vahal. 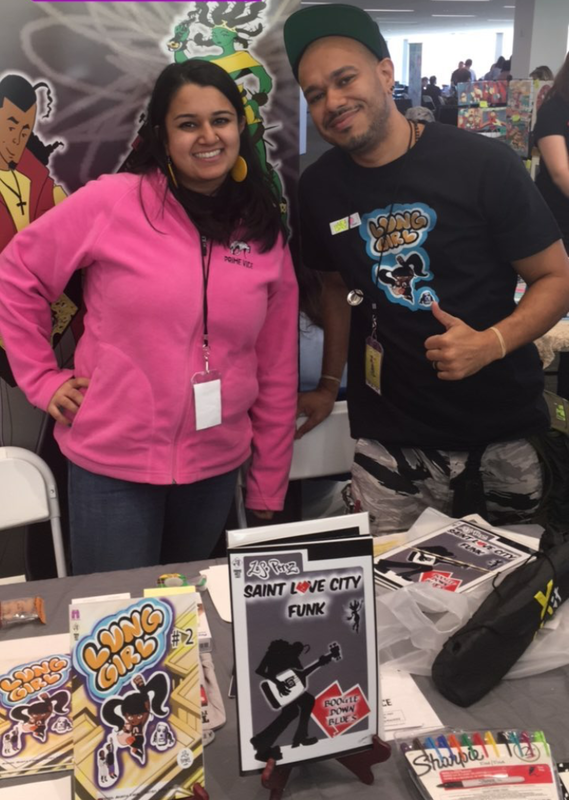 “This grant will help us address the lack of diversity in comics by encouraging our community to develop and share their unique stories and establish comics as an informative and educational tool,” said Perez. For more about the Prime Vice “Fresh Voices Comic Creator Workshop” see www.primevice.com and follow @prime_vice on social media.